the format for finals night will be like this, the top 16 for each category will be called one by one, they will be in their goddess costumes. 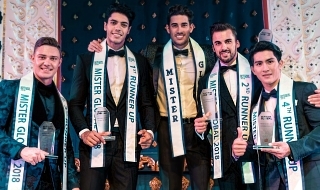 after that the top 18 candidates will be called , they will be wearing evening gowns, and when they are called they will strut and they will be scored based on beauty of face and poise. the 18 ladies will perform in their swimsuits and will be trimmed down to 12 , once they are called they will be scored one by one based on figure and form. after the figure and form category the 12 ladies will be back onstage wearing swimsuits and official gold shoes from miss earth with wraps and cover up this time. the top 8 will then be called one by one and answer the earth talk portion of the pageant. 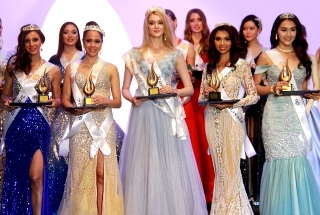 the top 8 ladies will come back to the stage wearing evening gowns and they will be whittled down to the 4 queens who will form the miss earth 2018 goddesses elemental court. final question will then be asked , same question for all four girls and the other three will wear headphones while the first one answers. the judges will then rank and a new queen will be proclaimed the ultimate goddess of 2018. I was very skeptic about this format since the last edition but it'a very Original though. Hoping for a fresh winner and Top 4! HOPING THERE IS A FINAL LOOK ON THE TOP 4 FINALIST SERENADED BY BRIAN MCKNIGHT SO THE JUDGES COULD DECIDE THE BEST TOTAL PACKAGE AND BEAUTY FOR THE WINNER. Inasmuch as I want Portugal to win, I think the crown will go to Vietnam in the end. This girl is so hungry for the crown. Her vibe is different. TOP 4 WILL BE BETWEEN VIETNAM, PORTUGAL, SLOVENIA AND POLAND. I MET THEM AT PERSON AND ARE SO GORGEOUS AND GENTLE. THE BATTLE IS VIETNAM VRS PORTUGAL. ONCE THE CONTESTANTS HAVE REACHED THE TOP 8, IT'S ALL ABOUT THE Q&A. NOT BEAUTY OF FACE, SEXINESS OF FORM, OR PERSONALITY. IT'S ALL ABOUT SMARTS. Contestants have to prepare accordingly. There's NO EXCUSE for not knowing that the eventual winners will be judged solely on smarts. 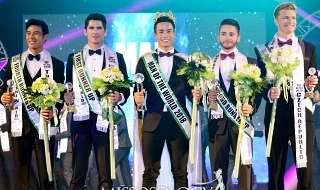 I really want to support your prediction so much just so that I can see how this Vietcong Nguyen will react to Miss earth after her girl ends up winning the crown. We'll we don't care if Nguyen likes it or not. One thing is sure, we will retaliate on every below the belt bashing he made and we'll do it until he says he is the victim because he already pitied himself. I like the format, it is very original. The girls don't have time to react because as soon as their country called it is already a competition. Tsaka bakbakan talaga kasi awrahan with finesse ang drama. Most importantly they make sure that the winner is intelligent. I hope T&T, Nepal, and Indonesia will not make it to top 8. It will be the end of competition once they hold the microphone. Thesame feeling I felt when Karen was called in top 8 last year. You guessed it right. Cheers.